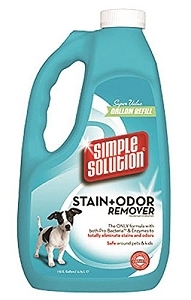 Simple Solution Stain + Odor Remover is formulated to eliminate and neutralize tough dog and cat stains and odors like urine, feces, and vomit. 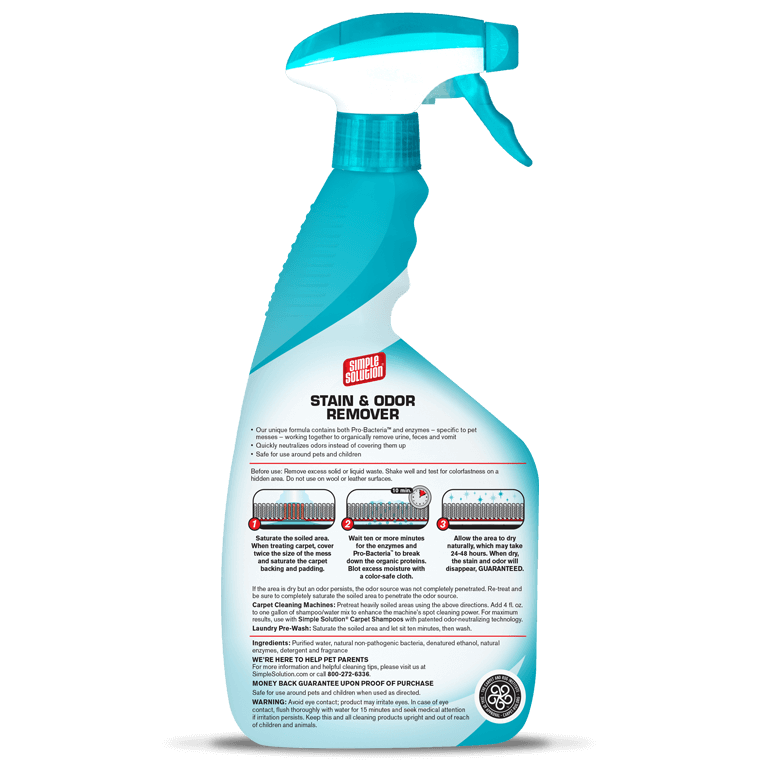 Pet Stain and Odor Remover uses Pro-Bacteria™ and enzymes that break down, neutralize odors at the source, eliminate stains, and stop repeat marking. 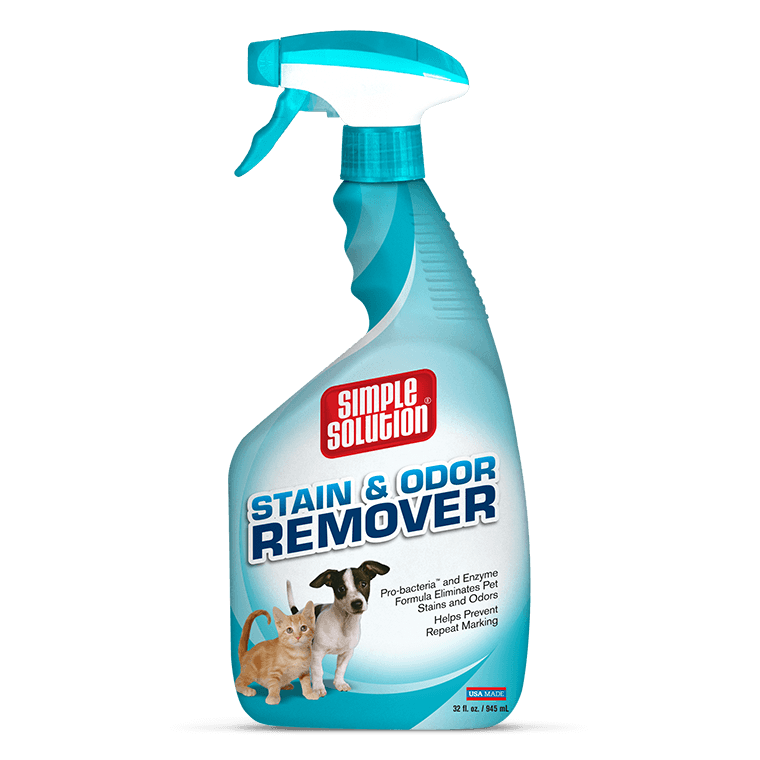 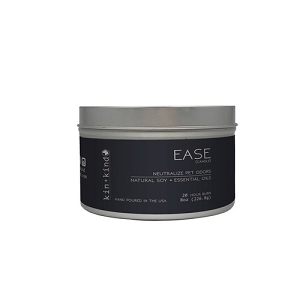 Safely removes dog and cat stains and odors on carpet, upholstery, bedding, fabric toys, clothing, or other water-safe surfaces in your home.